Throughout my career I have faced the question presented in the headline. It’s a reality within most companies and sees huge losses in cost and time, by way of processes not working well and in lost business opportunities. I haven’t met any business leader who has experienced this relationship working perfectly well together. On the other hand I have met some, not many, but still some, IT leaders who believe this cooperation works just fine. How is this possible? Based on my experience and understanding, it all comes back to the communication between people. I haven’t been able to answer any question relating to cooperation between teams and departments without noting that with good, open communication this problem wouldn’t have appeared. If the answer is so simple, why do companies still continually experience challenges in solving it? Education, in this case, means that leaders need to first learn on a reasonable level how the other side works. What is their view and understanding of the business? For IT managers it means to learn business goals and objectives, to understand strategy, to understand sales, customer care and production as well as their processes deeper. 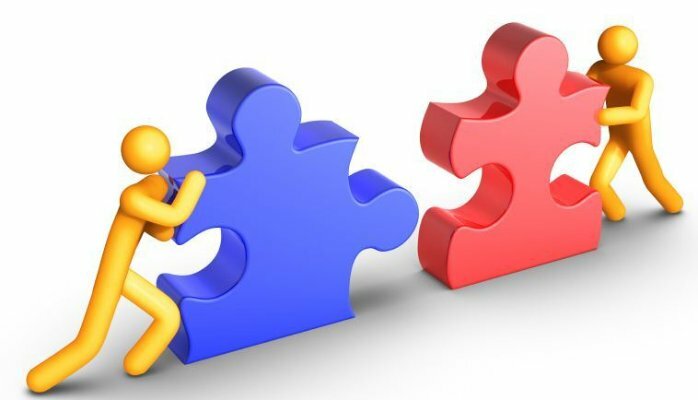 IT managers need to understand how these teams and people see their connection to the end-customer. What is important for these departments in how they deliver tasks in a way that best serves the end-customer, other teams and owners? On the other hand business leaders need to spend much more time with IT teams in order to gain a similar understanding of their thinking, views, challenges and opinions. After reasonable understanding of one another’s tasks is gained at managerial level, leaders should build training sessions where similar knowledge is spread around the organization in a concise and effective way. The goal should be to increase people’s understanding in all teams and departments with regards to what their colleagues are doing and why. This training should also include short and inspiring sessions regarding company vision, strategy and the short and mid-term goals in prioritized order. Practice sees leaders build some kind of model or system that supports the implementation of the educational step into everyday business life. This can be combination of many things, for example, a reward system, including topics concerning other teams on their own team’s meeting agendas, creating social media discussion groups around topics, offering further education surrounding communication, updating business processes, creating discussion groups for further dialogue or organizing fast and simple satisfaction surveys where teams and departments give feedback to each other. The toolbox is almost endless and it should be created to fit the company culture as well. Follow up should be measured by KPI´s that should support the wanted behavior. The old truth; you get what you measure, should come to mind here. For example, a customer satisfaction index can be adjusted to take into account how fast the company’s implementation or delivery time is. Internal employee satisfaction index can pose the question; ‘How would you rank other teams by their capability and/or willingness to support your team?’ Communication between teams and departments should be a regular part of the management team agenda and if any problems occur, enough time should be spent to solve the situation. The CEO should put extra focus on the management team members, in coaching them to improve their cooperation and communication. And if that doesn’t lead to success, questioning the ability these leaders may have to be asked. I’m convinced, as a result of seeing it first hand, that when internal communication is developed and when an IT department understands, accepts and wants to help the business to reach common goals, the general business results will be much improved. In addition customer satisfaction increases. On the other hand when the business shows true interest, participation and is ready and willing to support IT with clear prioritization, constructive feedback and reasonable target setting versus available funding, the results will be much better. And of course, customer satisfaction goes up too. I urge companies to focus on the quality of leaders and their communicational skills, as well as investing in education for communication skills within the whole company. This always leads to good pay back. It has been famously said in the past; war is too important a matter to be left only to the army. Nowadays we could say; IT is too important a business success factor to be left only to IT.